If America were a corporation, how would an independent analyst judge its ability to compete against other corporate giants? According to the author, that hypothetical analyst would label America a corporate dinosaur and recommend that the nation either change or face extinction. 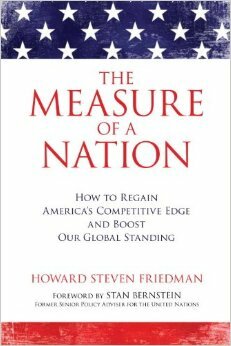 -Americans have the lowest life expectancy among all competitor nations. -Americans are at least two times more likely to be murdered and four times more likely to be incarcerated than any other competitor country, including Japan, France, and the United Kingdom. -America shows the sharpest disparity between rich and poor among all nations on its competitor list. Using charts that clearly illustrate the unbiased, party-neutral data, the author uncovers the major problem areas that the nation must address to become a leader again. Homing in on best practices from other countries than can be adapted to the United States, the author plots a course to transform America from a corporate behemoth burdened by internal issues and poor performance to a thriving business with an exciting portfolio of solutions.